The Ibizan Hound, is a skinny, light-footed dog of the hound family, mainly used for hunting and retrieving purposes, but at the same time make a friendly companion. They are all rounder and of a good nature and hence get along well with children but can prove to be destructive if left alone. 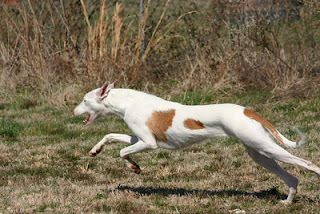 The Ibizan Hound is a relatively healthy breed of dogs living for approximately 10 to 12 years and does not suffer from any hereditary illness. Minor health problems and dog disease associated with this breed of dogs include seizures and Allergies.